In this section we aim to answer the continually increasing number of frequently asked questions about buying property in Spain. If you find your particular question isn’t covered here, please get in touch and let us know how we can help. How do we know that Realista is showing us the best on the market? 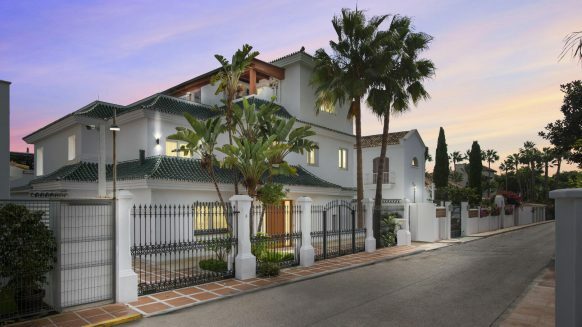 Since we established Realista in 2003 we have acquired a vast knowledge of the Costa del Sol property market, particularly in our niche areas of Marbella, Estepona and Benahavis. This knowledge plus a full understanding of what you’re looking for in property means we can source the best available. In addition, over the last 14 years we have built up a reputation for professional business practice. Because of this, agents contact us first with off-market or unique properties. We are therefore able to offer our clients homes unavailable elsewhere. Once you have short-listed properties that you would like to view Realista will arrange viewing times that fit in with your schedule. We provide transport to and from your selected properties and are on hand at all times to answer your queries during the viewing and afterwards. There are so many properties on the market. Where do we start? 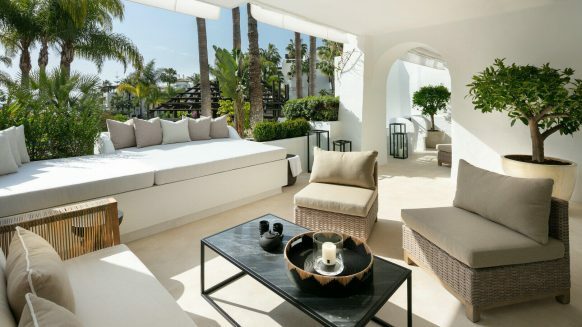 At Realista, we realise there’s a big choice of property on the Costa del Sol, but we’re also well aware that you are only interested in considering those that suit your requirements. Our house-hunting service is tailor-made to fit your list of must-haves, which we match with suitable properties. We will only show your homes that offer what you want and lie within your desired budget. How do we know we’re getting value for our money on our Spanish property? the property must be in an area where there’s potential for capital appreciation. We do not show our clients any properties on the Costa del Sol that do not meet these conditions. What happens if the seller doesn’t accept our offer? We continue negotiating on your behalf as far as possible on the back of our extensive local knowledge of market conditions and current property values. And we work hard to ensure you get the best possible value for your money. As well as negotiating your offer with the seller, we also market you to the buyer, presenting your case as the best scenario. We do this from day one of negotiations and on those occasions when the buyer has multiple offers on the table, our influence and contacts may be critical in tipping the balance in your favour. How do we decide what’s a good offer? At Realista we have insider expert knowledge about the area, market conditions, properties that have been sold and what are fair asking prices. Our maxim is to save and make money for our clients by ensuring that the property is in an area with capital appreciation potential and that you buy it at the right price. Is it worth making an offer on a property we like or should we accept the full price? Once you have selected a property you would like to buy the Realista negotiating expertise steps it. Together we discuss the price and tactics basing your offer on our in-depth knowledge of the area, market conditions and short and medium-term expectations of its performance. We handle all price negotiations on your behalf – our years of experience have given us expertise and means we are totally objective and emotionally detached. This gives us the edge at the negotiating table and generally helps get you better price. How soon after buying can we move into our property in Spain? When both parties sign the title deeds at the Notary, the seller is obliged to hand over the keys to the property. This means you can move into the property immediately after buying it. 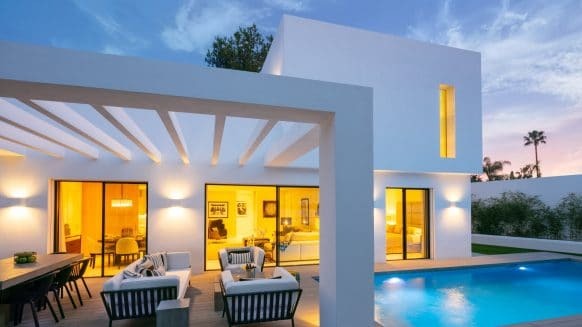 Can my partner and I share title on our Spanish property? Spanish law allows for multiple owners on the title deeds to a property. We advise you to discuss the implications of sharing title, particularly for inheritance matters, with your lawyer before you buy. The vast majority of properties in Spain are freehold. How much does we need to pay in taxes and fees when we buy a home in Spain? The actual amount depends on the purchase price, but you should allow between 10% and 12% of the price to pay for transfer tax or VAT and professional fees such as the Notary and Registry Office. Once your offer is accepted, your lawyer will check all the legal aspects of the property and draw up a purchase contract setting out the terms and conditions for the purchase. Once these are agreed, both parties sign the contract and you as the buyer pay a deposit, usually 10% of the purchase price. A date is set for completion when both parties (or their legal representatives) attend a Notary’s office for the signing of the title deeds. Once this is done, you have legal ownership of the property and may take possession of it. Next, the property is registered in your name at the Property Registry Office, a procedure that takes around a month. The actual time period depends on the buyer and seller, and the schedule is set out in the purchase contract (see below). Typically, the process takes a month, but sometimes it takes longer. Do Realista have any part in this stage of buying property? Yes, our services go far beyond sourcing a property and negotiating its price. Once you have agreed a price with the seller and contracted a lawyer, we continue to oversee the entire process. We act as general coordinators, undertaking such tasks as instructing your lawyer, arranging structural surveys and assisting with finalising finance etc. This removes unnecessary stress and saves you valuable time. If so, can you recommend a reputable lawyer? If you aren’t already in contact with a lawyer, we are happy to recommend one. Please contact us for details. Once we’ve have an offer accepted on a property on the Costa del Sol, should we take legal advice? Yes, at Realista we always recommend our clients take legal advice. A professional and cooperative lawyer makes a world of difference to buying a property in Spain. How long does it take to get a Golden Visa? The bureaucratic process can be lengthy and requires careful attention to detail. We believe our services and assistance in the procedure are second to none among estate agents on the Costa del Sol. Contact us for further information. How do I know if I qualify for the Golden Visa? You must be a non-EU citizen. You must invest at least €500,000 in property (it may be multiple properties with a combined value over €500,000). You must use your own funds for the investment. Financing is permitted for amounts over €500,000. You must be able to prove your funds come from a bona fide source and comply with international money laundering regulations. We are happy to help with obtaining a Golden Visa and provide further information. Contact us for more details about the Golden Visa. The Spanish government introduced the Golden Visa to encourage investment from non-EU buyers in Spanish property. In return for investing a minimum of €500,000 you receive Spanish residence. At Realista, we have considerable experience in assisting clients both with the purchase and in obtaining residency afterwards. Can you recommend a reputable company? We are happy to provide you with recommendations for companies we have worked with over the years and who have proven themselves to be worthy of our confidence. What sort of insurance should we take out on our Spanish property? Household insurance is vital and you should insure both the building itself and the contents. Should we make a will for our Spanish property and assets? While you are not legally obliged to make a will in Spain, having a legal Spanish will makes the inheritance process considerably easier and quicker for your heirs. Your lawyer can provide advice on making a will in Spain. What about inheritance in Spain? Once you are the owner of assets in Spain, inheritance becomes important. We advise you to take expert legal advice from your lawyer on this matter. How does the community system work? Community management is based on common consensus among owners who meet at least once a year to decide how they wish to run the community. Decisions are made through majority vote. If you are not able to attend the meeting in person you can give power of representation to another owner. Community costs are payable on all properties in Spain that share communal services such as gardens, swimming pools, cleaners and security staff. The actual amount, levied monthly or quarterly, depends on the services provided. When you view a property Realista will provide all relevant information about community services and costs so that you know exactly what to expect. How do I go about paying taxes and utility costs? The best way to pay for utility costs and council taxes is via direct debit from your Spanish bank account. At Realista, we are happy to set this up on your behalf. Could you give us an idea of monthly utility costs? It’s very difficult to provide an estimate of how much you will spend on utility costs as these obviously depend on how often you occupy the property, its size and energy-efficiency. Electricity bills are payable monthly or bi-monthly; water bills depend on the provider and may be monthly or quarterly; gas bills are usually monthly; and telephone/internet connections are monthly. How much does it cost in taxes to own a property in Spain? Non-resident income tax based on fiscal value of your property. Non-resident wealth tax on properties with a fiscal value over €700,000. Local council taxes, known as IBI and based on the fiscal value of the property. Refuse taxes, levied by some councils on the Costa del Sol (e.g. Marbella) and usually a fixed rate. Realista can give you figures for a specific property at the time of viewing. Can you assist with removals? Realista can recommend reputable companies and advise on any aspects to do with removals. Please contact us for further information. What about improvements to our Spanish property? Most new owners of Spanish property carry out some sort of home improvements. Our services also encompass these and we can advise and/or assist with renovation and refurbishment work, all architectural-related services and interior design. Our dedicated team can also help with obtaining planning permission and building licences for those improvements that require them. What about your services when we own a property in Spain? Transferring utility contracts into your name. Contracting utility services for a new property. Notifying the local council of your ownership. Registering the property for local council taxes in your name. Can you help with the buying process? Buying a property in Spain can be a stressful process, particularly if you’re not in the country at the time. We take the stress out of buying for you by providing assistance throughout the process and coordinating the other professionals involved (for example, your lawyer, the surveyor, mortgage provider etc.). We monitor every stage of process and provide you with regular progress reports so you are always aware of how things stand. When a matter needs input on your part, we bring your attention to it and can offer advice on how to proceed. This attention to detail on our part and constant supervision ensure a smooth process with minimal inconvenience to you. If you’re unable to be present at the time of completion, Realista is available to collect the keys to the property on your behalf and hand them to you at a convenient time for you. Do you just sell properties? No, helping people find the property that matches their requirements exactly is just one of our services. We also assist with many other aspects involved with the purchase of Spanish property – see below for more details.